In light of the massive oil spill ongoing in the Gulf of Mexico this post is designed to highlight locations for data relevant to the spill, and to show these data in use in Cartographica. The BP oil platform Deepwater Horizon exploded on April 20 and resulted in the deaths of 11 crew members. The subsequent fire caused the extreme deepwater oil rig to sink causing the largest oil disaster in U.S. history. In hopes of promoting more understanding about the incident several websites have offered GIS data regarding the incident. 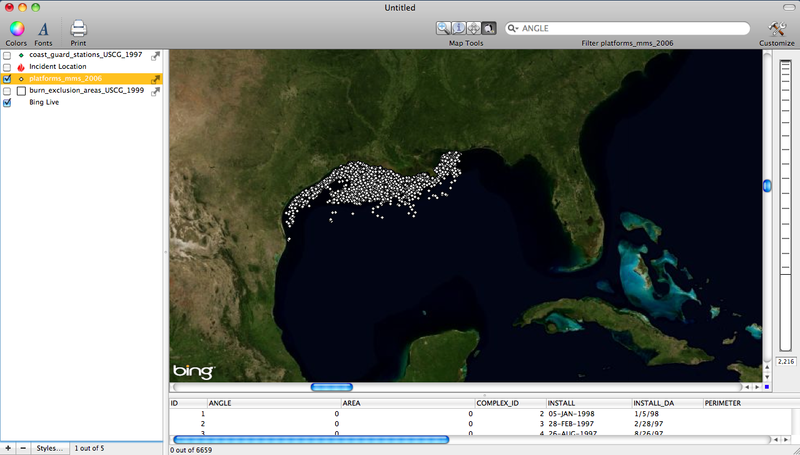 For this post data were obtained from The Louisiana Oil Spill Coordinators Office, which offers numerous data related to oil collection within the Gulf of Mexico. The site does not offer up-to-date information about the spill, but it does provide useful basemaps, oil platform information, and informaiton on the location of oil pipelines in the Gulf. In addition to the Louisiana Oil Spill Coordinators website, BP also has several useful links to maps and videos about what is going on in regards to the oil spill. 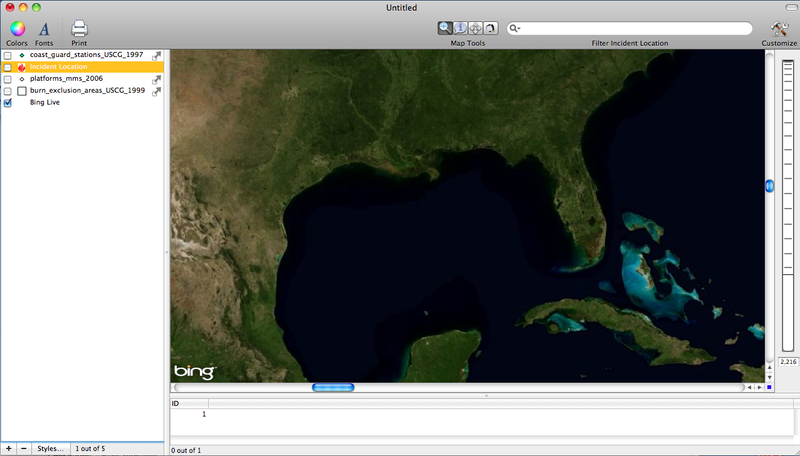 Below are some screenshots of the data being used in Cartographica. The first screenshot is a Live Bing Map of the Gulf of Mexico Highlighting the area where the oil spill is occurring. The second screenshot is the location of the incident site. 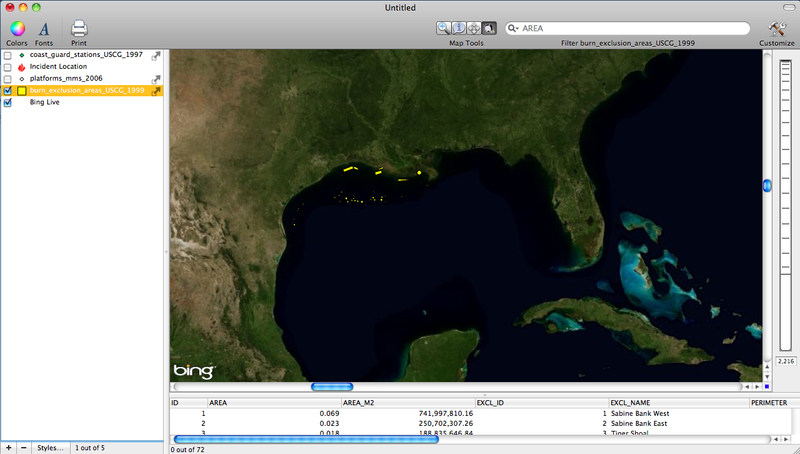 The fourth screenshot shows burning exclusion zones which are areas that are protected against burning oil as a method for removing oil from the surface of the Gulf due to environmental concerns.